Secure Lock and Electrical Service are based on the Gold Coast and offer an extensive range of services in both locksmithing and electrical contracting, specialising in residential and commercial property maintenance, repairs and installations. Phil Stumpf is a fully qualified and licensed electrical contractor (Qld Electrical Licence No. 71061), holding both an electrical contractors Gold Card and a Queensland Electrical Fitter/Mechanic licence. Phil is also a trade qualified locksmith with a current Queensland Security Advisor/Installers licence (Qld Security Licence No. 3250258). We also provide an emergency 24 hour a day callout response service for those unexpected times when you need the services of a professional locksmith or electrical contractor. Secure Lock and Electrical are dedicated to providing our clients with a high level of efficient , professional and friendly service whilst keeping cost as low as possible. We are comprehensively insured for products and public liability and are happy to provide a copy of our insurance coverage if required. 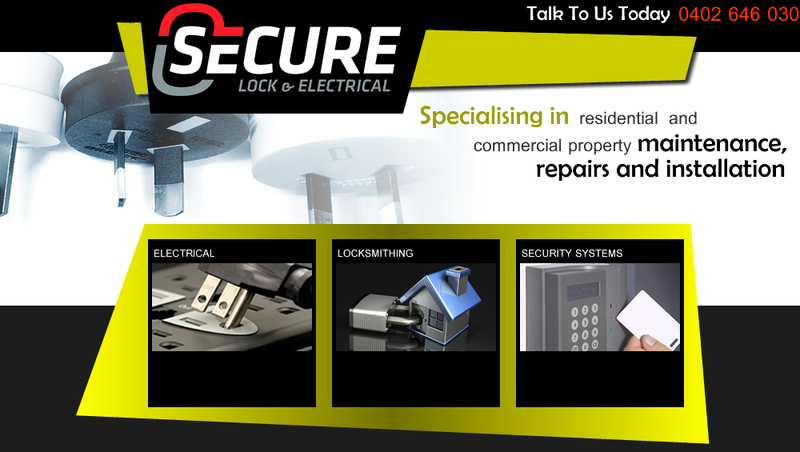 Secure Lock and Electrical Service is a local Gold Coast family owned business operated by Phil and Emma Stumpf. Phil is a fully qualified electrical contractor, locksmith and also holds a Queensland Security Advisor/Installers licence. Phil has many years experience , sixteen of them on the Gold Coast, in both the electrical and locksmithing industries. Emma is the office manager and has many years experience in the day to day running of a business. Emma is able to assist you with any general enquiries, bookings, work orders and tax invoice queries. We are dedicated to providing our clients with a high level of professional, efficient and friendly service whilst keeping costs as low as possible. There is no job too small, so whether it's an additional power point you are after, a key cut, or an access control system, we can do it!